This step-by-step tutorial shows how to covert a textured 3D model created in Sketchup, and use Blender to convert it into a model that can be uploaded to Shapeways. 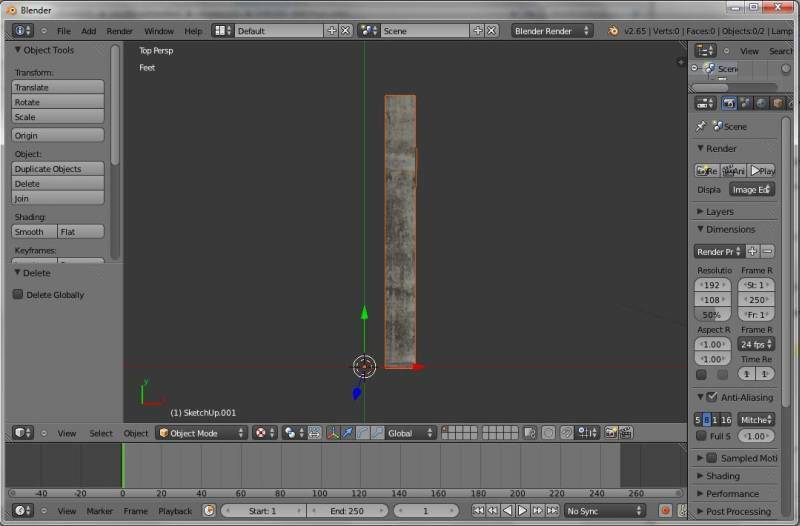 Part 1: Create a textured 3D model. 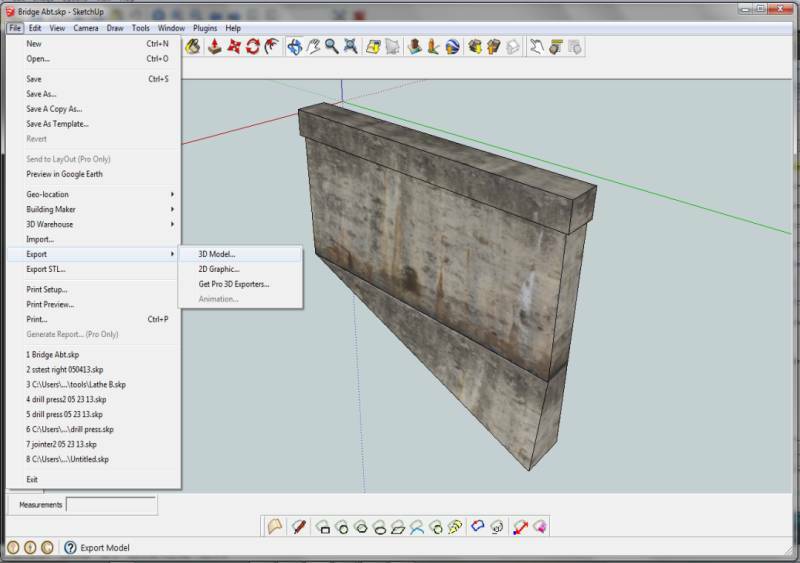 The process of creating a textured model withn Sketchup is covered by a number of tutorials. This tutorial assumes you used an image file to create your textures within Sketchup. 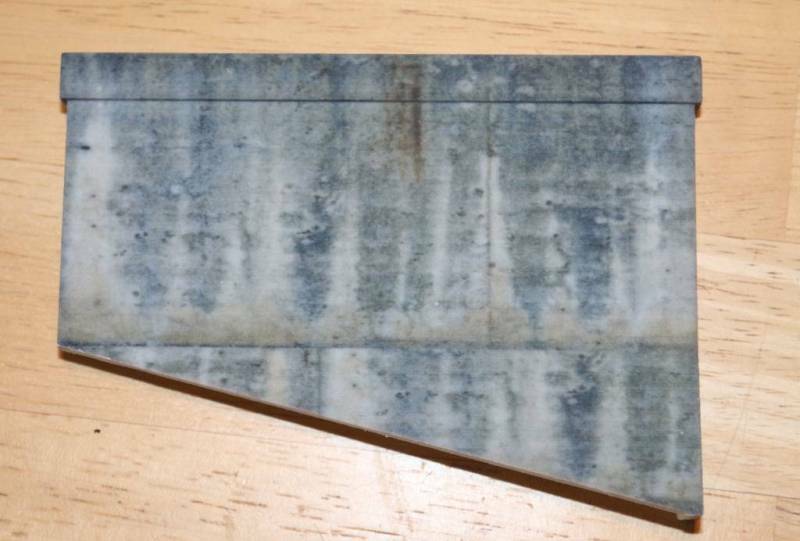 In this example I have created a 1/87 scale model of a concrete bridge abutment for use in model railroading. Part 2: Exporting your model to Collada DEA for color printing. Your model should be free of holes and manifold. These issues are covered in detail in other tutorials. Export your Finished model as a Collada DEA file by choosing the menu item FILE, then EXPORT, then 3D MODEL. Sketchup will save the DEA version of your file, and create a folder with the same name as your model containing the phototexture file. 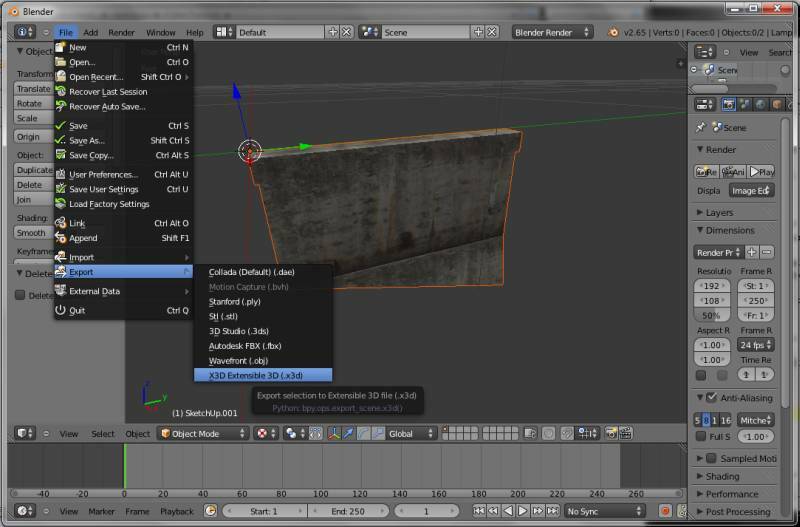 Part 3: Convert your model into an X3D file with Blender. 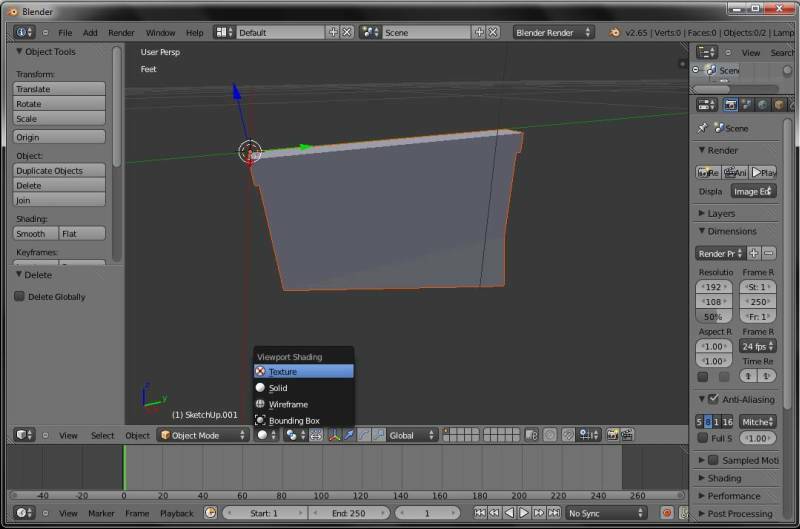 Start Blender and delete the default mesh box so that there are no objects loaded. Import you Collada DEA file into blender by choosing the menues FILE, then IMPORT. If you cannot see the texture on your model, go to the viewport Shading selector and choose TEXTURE. Export your model as an X3d Extensible file. 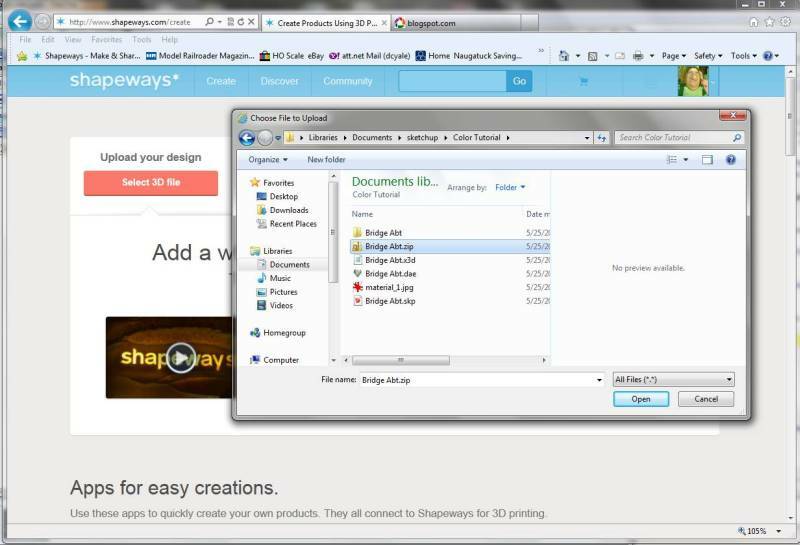 Part 4: Create a ZIP file and upload it to Shapeways. Create a zip file containing the X3D model file the and material file. 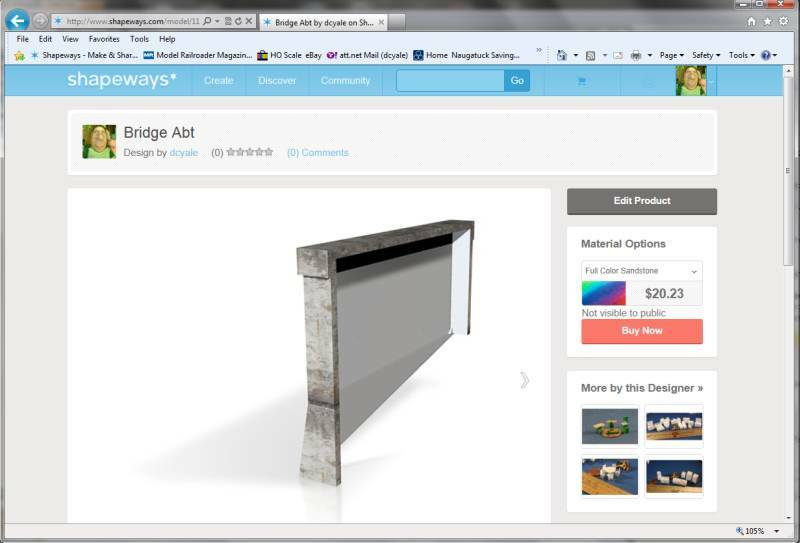 Upload the zip file to Shapeways, selecting whatever size you used in Sketchup to design you model. 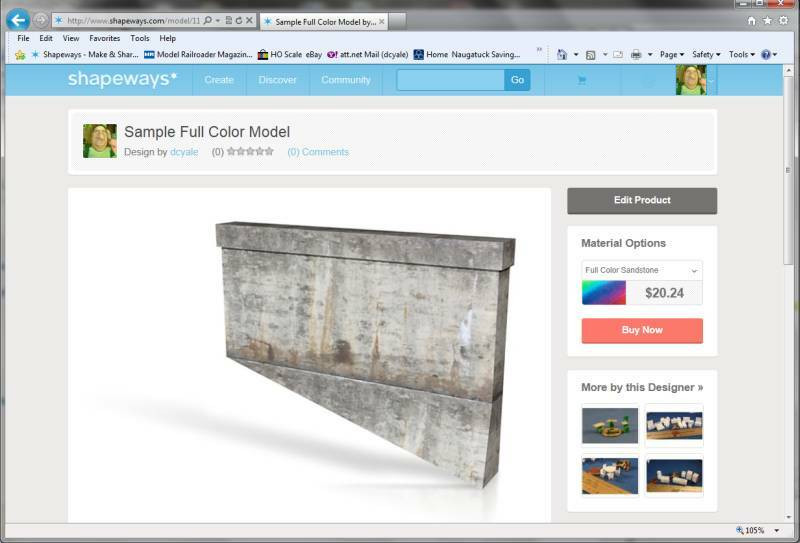 After a while your model should show up in the Your Models section of the Shapeways Website. A hint if the wrong side of your model shows up on Shapeways . HINT: If you rotate the model within Blender- it will change the angle of the shapeways render. When I first uploaded this model it showed the end and back. Within Blender hit 7 on the number pad to get top view. Hit R to get into the rotate mode, and enter the number of degrees. In my case I used 270. 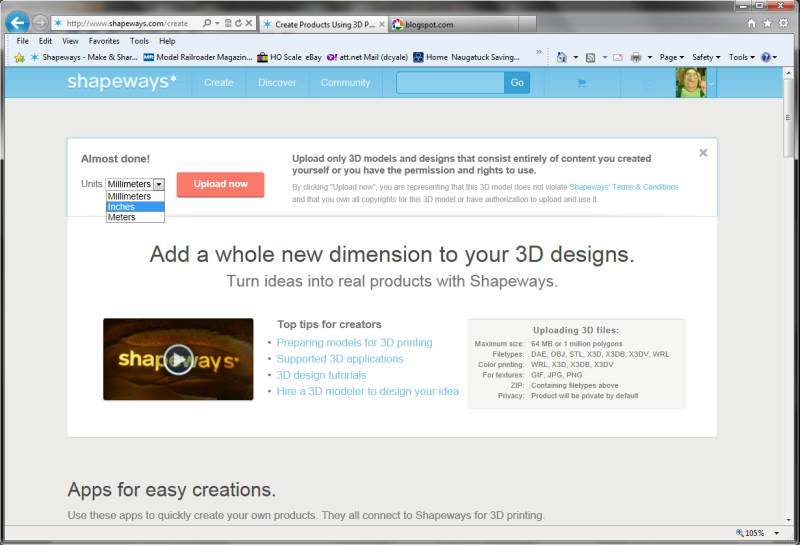 Export the model again , create a new zip fle of your X3D model and the texture file, and update your model on Shapeways. It should change the angle of the default render shown on Shapeways.